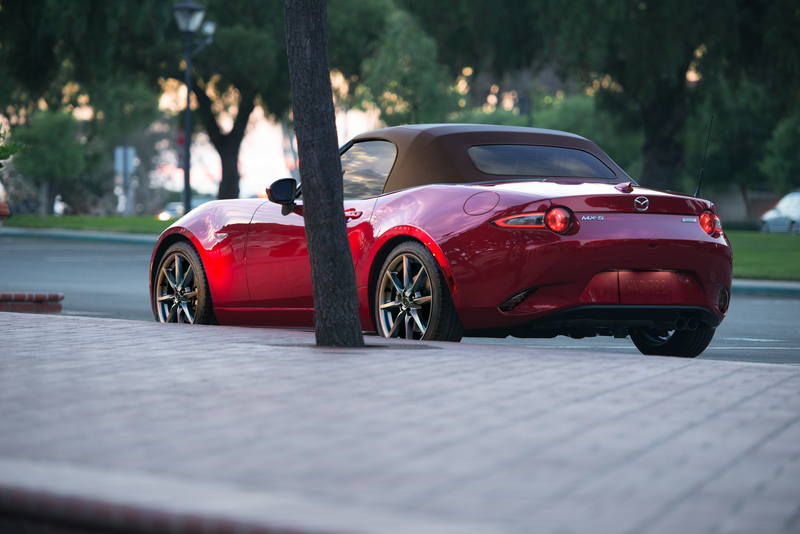 Mazda is going to drop details on the upcoming MX-5 early tomorrow morning. The embargo will be lifted at 5:00 a.m. Eastern tomorrow—2:00 a.m. Pacific. Check back here at that time for the full scoop. Oooooo, I wonder what it could be? I'm really looking forward to this car. I'm calling it now: Body colored license plates! They finally make a V8 of their own to cut out the middle-man? HP bump is my guess. I am anticipating this to be simply official confirmation of 'unofficially' expected stuff like a retuned suspension, 181hp, 7500rpm, accompanying improved engine internals, 'low-interia' dumass flywheel, and a telescoping steering column. A second bolder and more interesting (non-white/silver/gray/black spectrum) color option would be nice too. I don't really have high hopes for any unexpected 'big news' beyond that though, as that is a substantial amount of good news already...Although, I am always open to being proven wrong too. I'm guessing 181hp, 7500RPM redline, lighter weight dual mass flywheel, new color and interior options, among many other small changes? New crank, new rods, new pistons, new cams, new valvesprings, new head casting, an oil cooler, a change in the transmission bellhousing, larger throttle body...you know, the little stuff. Some of the changes being attributed to the 2019 are already in the 2018s but nobody noticed. For example, did you know that you can get an Eternal Blue 2018? Here's what it looks like with FM springs and bronze 6ULs. The rumored changes to the rear suspension are also a 2018 update. All MY2018's, or changing over on the fly? The suspension and steering? All 2018s as far as I know. They actually showed up on the 2017 RFs, the soft tops didn't get the update until 2018. It's amazing what you learn when you talk to the engineers instead of reading forums Mazda never really announced the changes, they didn't play up the dynamic changes that showed up with the RF but you can feel them pretty much immediately if you know the cars. The engine did not change for 2018, though. That's all 2019. Man, that's such a good color. 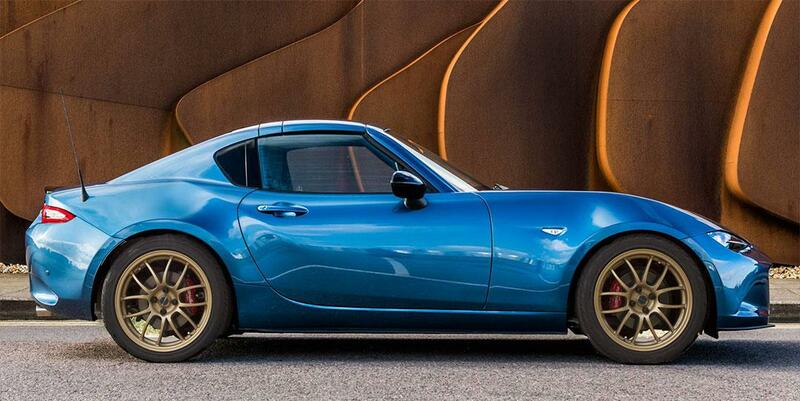 Crazy how the miata went from "fine, I guess" to "WOW" with the ND. 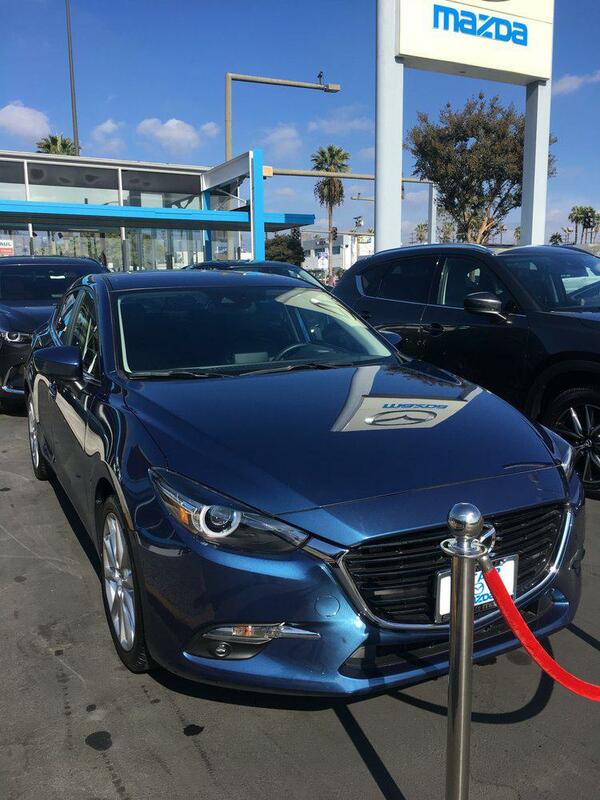 And yes, that image of Eternal Blue is much more blue (bold) and much less silver (bland) than it appears on the Mazda website...Making it far more interesting and exciting to look at. That's a press photo from the UK, I don't know how processed it is. But it's a CX5 color, so you may have seen it already. Well very few people work for the most successful supplier of aftermarket parts and tuning options for the Miata. I guess it's official. I am 100% getting a ND RF if this color is an option. Unless they have a purple coming. Especially a pastel purple or the one the new BMW's come in. have they fixed the transmission yet? That RF in blue is really sweet looking. It wasn’t really an issue, just an overblown forum lore. Some of the road racers had issues. They did make a change to the internals after feedback from the folks racing them. I believe that was a running change last year and current owners can have theirs replaced under warranty if they have issues. I still want to see a yellow one, but that blue is definitely much more blue than the photos I've seen before. The other ones basically look like silver with a hint of blue in them. That's a 2018. You can buy one now. Although I expect a price drop within 12 hours or so. There is evidence of a bellhousing pattern change in the leaked 2019 pics, although some forums will not believe it's been fixed ever. I was basically dared by a Mazda person to get that in there. The 2.0 barely fits. A skyactiv-x with a hybrid motor similar to the fancy exotics. Some of the changes being attributed to the 2019 are already in the 2018s but nobody noticed. For example, did you know that you can get an Eternal Blue 2018? Here's what it looks like with FM springs and bronze 6ULs. The rumoo the rear suspension are also a 2018 update. 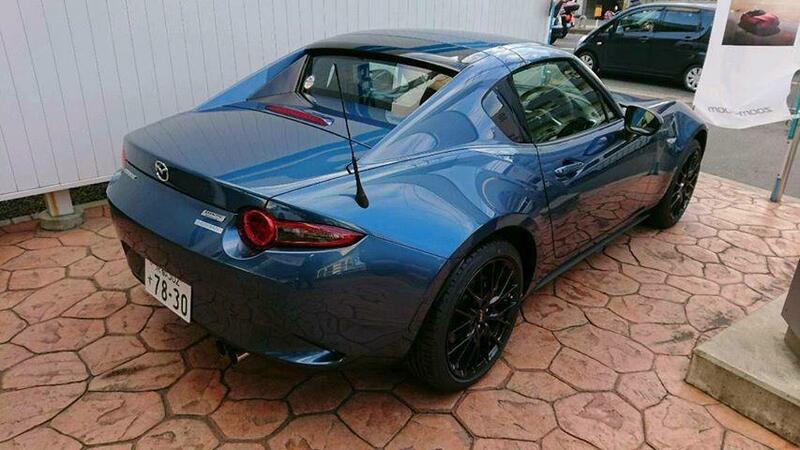 Love the look, but $40K (optioned up) for a Miata? Please have a fixed roof. Please have a fixed roof. Please have a fixed roof. Please have a fixed roof. Pretty please? I'm going to say that the top line package will be around $37k. Prices probably won't be released for a couple of months. How is that Elise money? You can't buy an Elise in this country! Unless you mean a used one that can be written off with a fender bump...The Miata is as cheap as it's ever been, but it used to be that you had to give up a radio and alloy wheels to get the current price level. That way your Miata can look like aChevron B8 all the time. You have to get it in a box or drive to Colorado for MSM flavored one now. Oooh, George is selling Peter Gregg's 916, think I can get a half a million for a kidney? Unless you mean a used one that can be written off with a fender bump. I’ll be surprised if there are any surprises in the announcement beyond what we have already heard in the past few weeks. I love Mazda but they are notorious for big headlines with flat follow through. Regardless the 2019 looks good and I'm considering the move to a new 2019 RF from my 2106 club. None of the headlines so far have been from Mazda. Keep that in mind. I don't think there will be any surprises for those that follow rumors in the enthusiast press. But I don't think any of us are upset about the content of those rumors. Maybe I'm doing it wrong, but when I search for 'Mazda Eternal Blue' in Google Images, I see nothing that looks even remotely close to Kieth's pic. They're mostly just a relatively mundane silvery-blue. I'm starting to think that photo might be the automotive equivalent of a Kim Kardashian cover shot. It doesn't seem unreasonable to me for one with all the goodies. A much better value than anything German. That's not the same and you know it. I am looking forward to seeing the RF roll bar though. Very intriguing. Seriously though, thank you Mazda for making an already compelling driver's car, and making it that much more so. Maybe I'm doing it wrong, but when I search for 'Mazda Eternal Blue' in Google Images, I see nothing that looks even remotely close to Kieth's pic. They're mostly just a relatively mundane silver-blue. 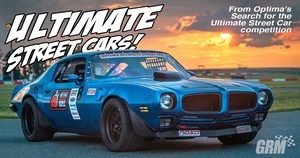 I'm starting to think that photo might be the automotive equivalent of a Kim Kardashian cover shot. Start watching for blue CX5s. here's a cellphone shot sent to me. You're finding pics of Blue Reflex. 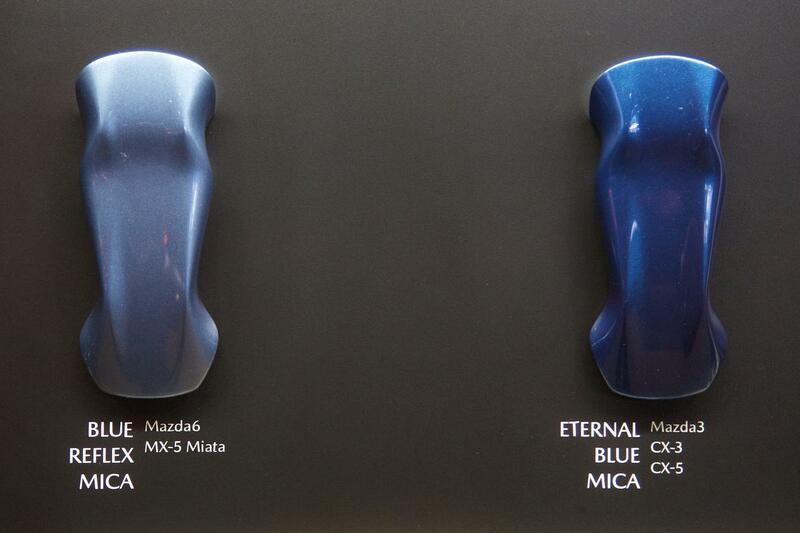 Google "eternal blue mica". Apparently not, as adding 'mica' to my search did not change the results. They have more of a muted silvery blue look, similar to Keith's latest pic, rather than the bright vivid blue I see in his original image. I would choose the red long before the color in Keith's second picture or any I've seen on Google Images, but would potentially go for the blue in Keith's first picture even over the red. Apparently not, as adding 'mica' to my search did not substantially change the results. They have more of a muted silvery blue look, similar to Keith's latest pic, rather than the bright vivid blue I see in his original image. 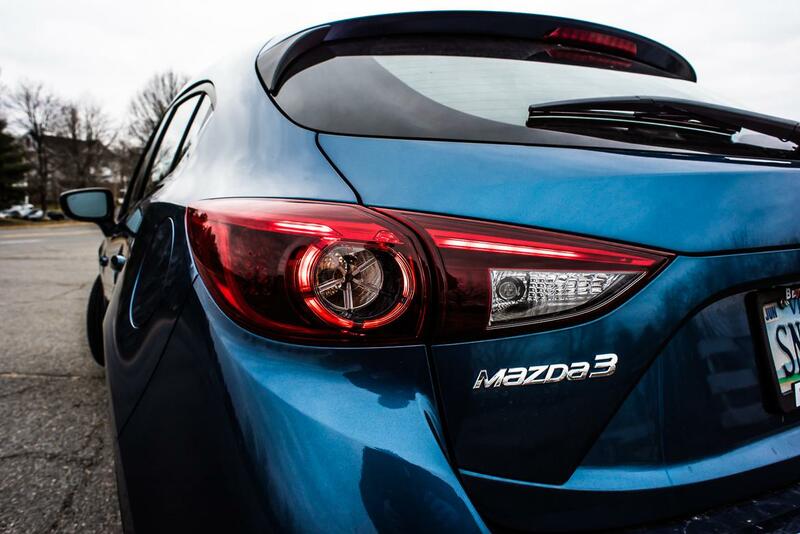 Mazda 3s....Beautiful color. I blame variance on the proliferation of Instagram. Images blatantly ripped off from Google image search. It may be one of those colors that's sensitive to light. Really, Mazda's red is SO fantastic that anything else is a second choice but at least it's a legitimate color and not a slightly tinted grey. The source of my original image was Mazda promo shots from the UK, I don't know what work was or was not done to it. So, we have Soul Red, and now Eternal Blue. Are we gonna get a Heavenly Purple soon? Please say yes. Also, I know that a car is much more than the sum of its parts, and I'm sure the ND is incredible to drive compared to an NA/NB, but man... for that money (of a new just about anything, these days, but specifically an ND) and a few months of my spare time, I could LS3 swap one of the Miatas sitting in the garage, and refresh the chassis while I'm at it. Anyway, Keith, what was the hangup with the 2.5T, in regards to size? Are they tall engines? Width wise, I can't see them being too much bigger than a 2.0, even with a turbo. Guess it would all depend on packaging, although the hood on the ND is really nice and low. I’m facing the same math. Not necessarily with an LS3, but thinking of what I could do to my turbo NA with a big chunk of change to throw at it. Driving both cars, it’s not an easy choice - but the new ‘19 engine may tip the balance. The ND will always have more suspension travel, a better appointed interior, much better safety and the potential of an RF. The 2.0 is a tight fit in the ND. The 2.5T is taller, wider and longer. I don’t know exactly what dimension is the biggest problem, but taller and longer would both be a problem under that hood. Remember that Mazda is required to keep crush space between the engine and the sheet metal, which those of us who shoehorn big engines in don’t necessarily do. As an aside, there are now rumors swirling that Mazda is going to make the 2.5 turbo optional in the CX-5. Finally! We may be trading in our 2017 if this happens and I can convince my wife. That would really be nice. It's hard to come by real power in that market segment since Toyota stopped making the V6 Rav-4s. Indeed. Forester XT, but it's CVT and lost the sparkle of the old cars imo. There is massive room for a turbo on top of the exhaust manifold of a CX5. I’m assuming it’s from the diesel plans. I at least have the benefit of not having driven an ND yet. I know it would be a bad idea for me. Can't want what you don't know, after all. They are very nicely put together, I will give you that, and the styling is quite nice. I'm aware of the engine to hood clearance for pedestrian safety, but hadn't considered it when typing my post last night. Not a problem for us though... is the ND equipped with the crash-detecting exploding hood risers? Can't remember what car it was that I saw came up with those to get around that regulation, but looking at the ND, it would be a good idea! That said, would there be any point in a 2.5T swap? Seems like an all low / mid range engine to me. 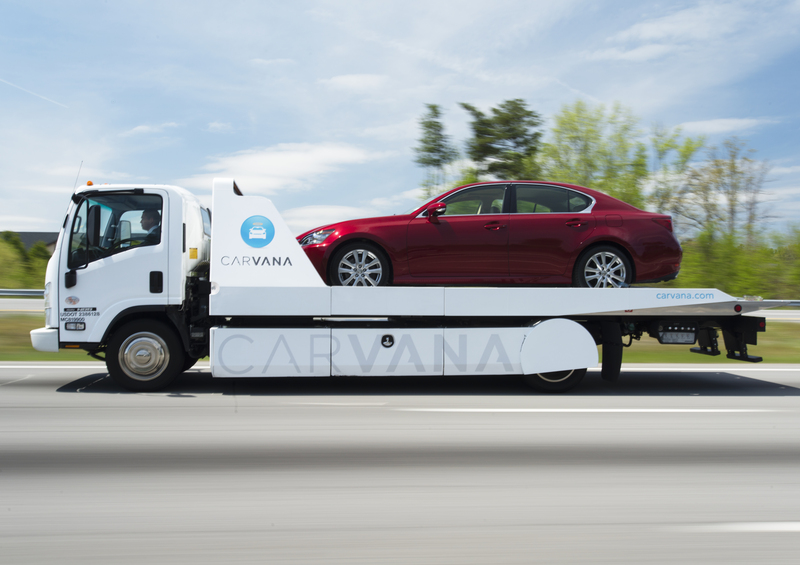 Not sure that fits the character of a Miata, even if it would likely make it VERY quick. Kinda like the ND / Fiata argument, only exaggerated with a lot more torque. I think the Euro NDs have explody hinges, but the US ones do not. 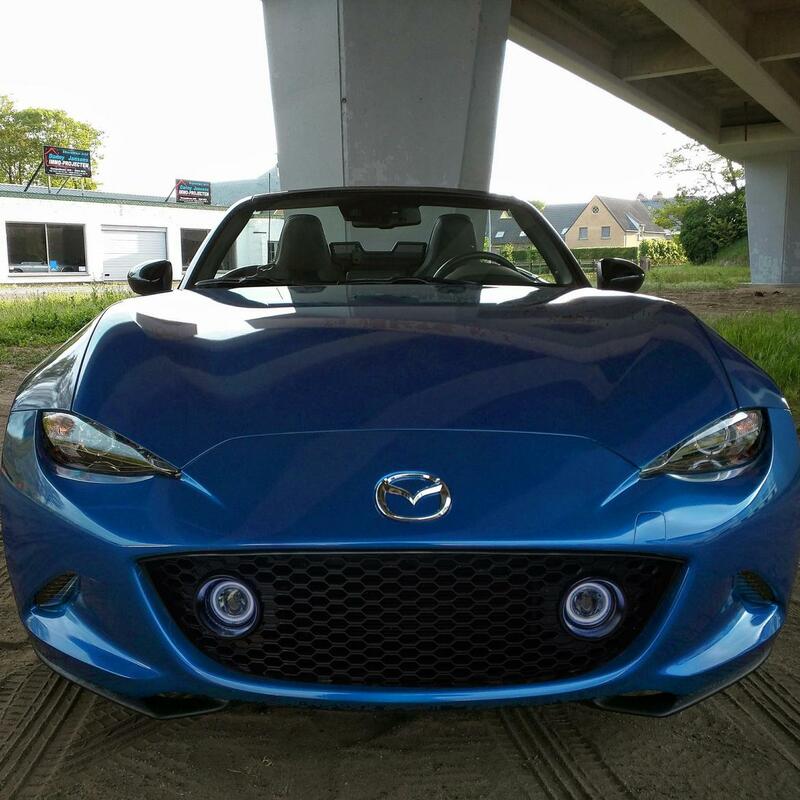 The low ND hood is a particular point of pride for Mazda. I haven’t driven the 2.5T, so I don’t know its character. The original ND engine is a very torquey thing, loads of area under the curve which is why the cars perform better than their headline power number would suggest. It appears the new engine retains that low end but adds some sparkle up top. We’re having our annual track days at work, and the turbo NDs are making a lot of friends with our roster of drivers. They exaggerate the inherent nature of the 2.0, just loads of torque. So maybe a 2.5T wouldn’t be out of line if it would fit. In regards to factory turbo models, wouldn't that hurt the fleet MPG rating for Mazda? They seemed very proud of that not long ago. They're giving the 6 a boost because it doesn't seem competitive on paper at all, so quite a few people probably never make it to the showroom based on that. Ya but, every other car in our owners group is the same berkleying red ! Some additional choices would be nice. I'm convinced that, somehow, GRM has become a shell business for Flyin' Miata! You shouldn't have said that, Kurt. You might want to check the peephole before opening your door for a while. Just saying. Other vendors are welcome to take part in these discussions. Usually they just buy ads instead of being part of the GRM community, or join up to post a promotional post and then disappear. It's easier. But hey, everyone has their own way of supporting their business. 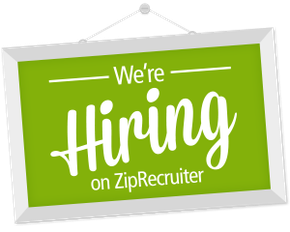 I choose to be part of the GRM community because I like the people and it's interesting. I'd take part even if it wasn't part of work. 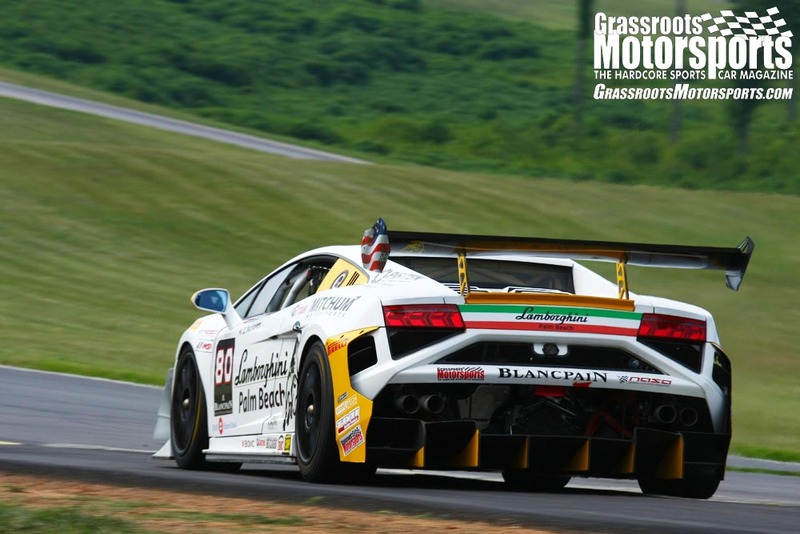 Coincidentally (or maybe not), there's a banner ad for Goodwin Racing at the top of this page while I'm reading it. I've never owned a Miata. I don't even particularly like them. I've still called Keith at work to ask his opinion about Miata parts and have ordered them from FM because he's one of us and has earned my trust watching him work on non-Miatas. If I recall, the CX-9's power peak is at a fairly low rpm, something like 5000. However, it makes over 300 ft-lbs around 1900 or so. More like a diesel, as far as powerband goes. 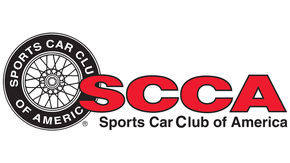 Might not be a bad thing, but I like my sports car engines to be, you know, sporty, quick revving, high revving, encourage you with the sound, to go just a bit faster... basically everything Miatas have been for all these years. That said, the right set of cams might wake that 2.5T up nicely. Figure if it would top out around 7k, it would be a rather monstrous engine for the ND.